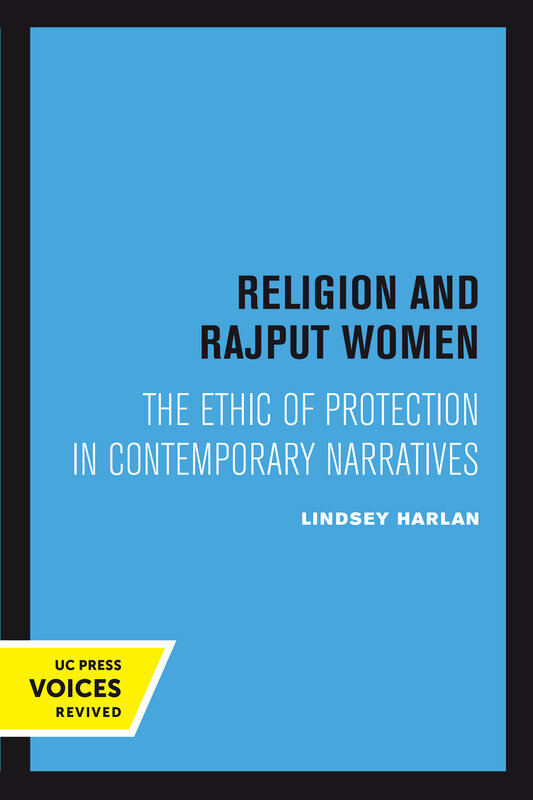 What is the relationship between caste and gender in the narratives of Rajput woman? During a year and a half of fieldwork in Rajasthan, a parched land dominated by the great Indian Desert, Lindsey Harlan interviewed more than a hundred women from all levels of Rajput society. She wanted to understand why certain religious practices were so important to Rajput women, and how they justified these to themselves. During the course of her interviews, the women described their religious practices—chief among them the worship of the family kuldevi (the goddess who exemplifies the ideal wife by staving off sickness, poverty, and infertility) and the veneration of satimatas (women who have immolated themselves on their husband's funeral pyre). As the women discussed these rituals, many of them also told Harlan religious myths and stories, drawing parallels between their behavior and that of various Indian heroines. These narratives and the role they play in the women's self-perception are the fascinating and enlightening subject of this book. This title is part of UC Press's Voices Revived program, which commemorates University of California Press’s mission to seek out and cultivate the brightest minds and give them voice, reach, and impact. Drawing on a backlist dating to 1893, Voices Revived makes high-quality, peer-reviewed scholarship accessible once again using print-on-demand technology. This title was originally published in 1992. Lindsey Harlan is Professor of Religious Studies at Connecticut College.